“Fifty Shades of Grey” is the best-selling book series that is on its way to the big screen and Fifty Shades of Grey Fan is there to provide fans with the latest news, photos and media on the books, films and their stars. Sparkly Designs (http://sparklydesigns.flaunt.nu/) has RE-OPENED! We are back, and we have a new look too (using photos from Camila Mendes). 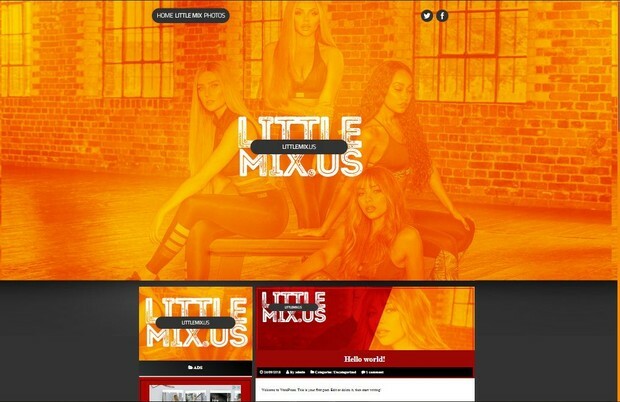 We offer HQ Designs for fansites at an affordable price, We do hq wordpress designs, coppermine designs and more. Please feel welcome to visit us and check our website! X23WORKSHOP.COM IS ACCEPTING FREE ORDERS! ** RULES: Give us a shout out via Twitter before ordering and after ordering. Hello people, I have one BIG ANOUNCE for you…My second WP THEME PREMADE (coded) is out now and it’s avaible for buy here. Hope you like it and if you use it, don’t forget and don’t delete the credit! Emma Roberts Portugal, your first and only source about the talented actress Emma Roberts in Portugal, has a brand new layout on the site and photo gallery. Both layouts were made by the talented designer ESTRELLA DESIGN, who i thank so much for the hard work and dedication in it. Lucy Hale Hungary new layouts! Hello everyone! Lucy Hale Hungary has a brand new layout on the main site. Check it out and let us know what you think. Hi everyone! Priyanka Chopra France has a brand new look with a photoshoot of Priyanka from 2016, thanks to extrasflaunt & Lilianne! Feel free to visit my website, hope you enjoy! Hello everyone! Over the last few weeks, I have re-vamped Influence Designs completely to offer an amazing, easy experience for you all here. The most exciting part of this re-vamp is that I am now making free WordPress themes! I am almost done with school – I am pursuing a degree in Web Development – and I need to focus on practicing and adding more designs to my portfolio. If you would like to order from me, please visit the order page! I can’t wait to get started on these themes for you guys! WordPress 4.7.1 – Upgrade Mandatory!!! we are receiving more and more emails from you regarding websites which have been infected. As far as we know, it is a global issue which also affects other hosts. The issue only concerns these websites which have not yet upgraded their WordPress scripts to version 4.7.1. This means that all WordPress scripts older than this version are vulnerable to hacking. We do kindly ask you to upgrade all your WordPress scripts at your accounts. If your website has already been infected, please follow the steps below or simply contact us. To check whether your website has been infected or not, go to Google and type your url. If you see Japanese signs instead of a website description, this means that your website has been infected. How to remove a virus from your website? 1. Download the latest version of WordPress > https://wordpress.org/latest.zip and unzip it at your computer. 2. Remove “wp-admin” and “wp-includes” directories from your FTP account. 3. Upload all files from the WordPress script downloaded (refer to step 1) and overwrite all files, if necessary. 4. Remove the “sitemap.xml” file from the “public_html” directory and a Google verification file (e.g. google485732784375843534.html). 5. Remove a directory marked by the series of signs (e.g. 520dce8b905e) from your “wp-content/plugins” directory. 6. Edit the “.htaccess” file (you can find it in “public_html”) and remove all information from it. Afterwards, paste the code available at this website: https://codex.wordpress.org/htaccess (basic WP). 7. Log into your WordPress and change passwords for all administrators. 8. Install the following plugins: Anti-Malware Security and Brute-Force Firewall. Scan your “wp-content” directory. The plugin should detect all infected functions.php file for each theme. Clean the files with the plugin. 9. Log into Google Webmasters > Users and service owners and remove the email address which does not belong to you (e.g. pochrz551469@gmail.com). To do that, go to Manage service owners > Cancel verification. 10. Remove sitemap added by a virus (go to Indexing > Sites Map). 11. Generate a new sitemap (e.g. you can do that at https://www.xml-sitemaps.com) and add it to Google Webmasters. To fasten the indexation in Google, download it as Google (section: Indexing). If you come across any difficulties with upgrading your WordPress scripts or you noticed suspicious files, simply e-mail us. Thank you. 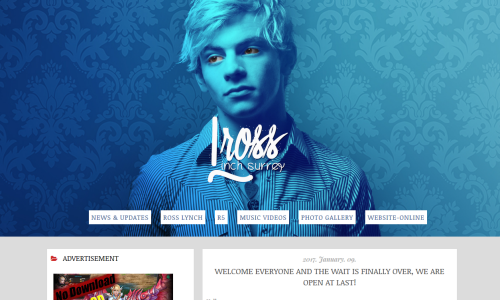 New Website For Ross Lynch Now Open. 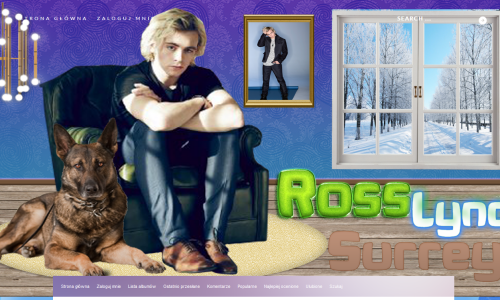 I am please to announce that I have finally got my website open for the wonderful Ross Lynch who was best known for Austin Ally and Teen Beach Movie plus as a lead singer and song writer for his own band R5. I am looking for affiliates so get applying here on the Guest Book section as the affiliation form doesn’t appear to work at the moment. So I’ll look forward in receiving your responds for the affiliate sections. Here is a massive thank you to Flaunt nu for getting my site up in swift responds and thanks to Blown Design for his amazing WP theme and Soy Luna Daily for her gallery theme.